* Bring the casino feel to your home game with this set of deluxe Baccarat player and banker plaques. Each plaque is double-sided, heavy, durable and engraved with easy-to-read letters. * The player plaque is oval shaped. 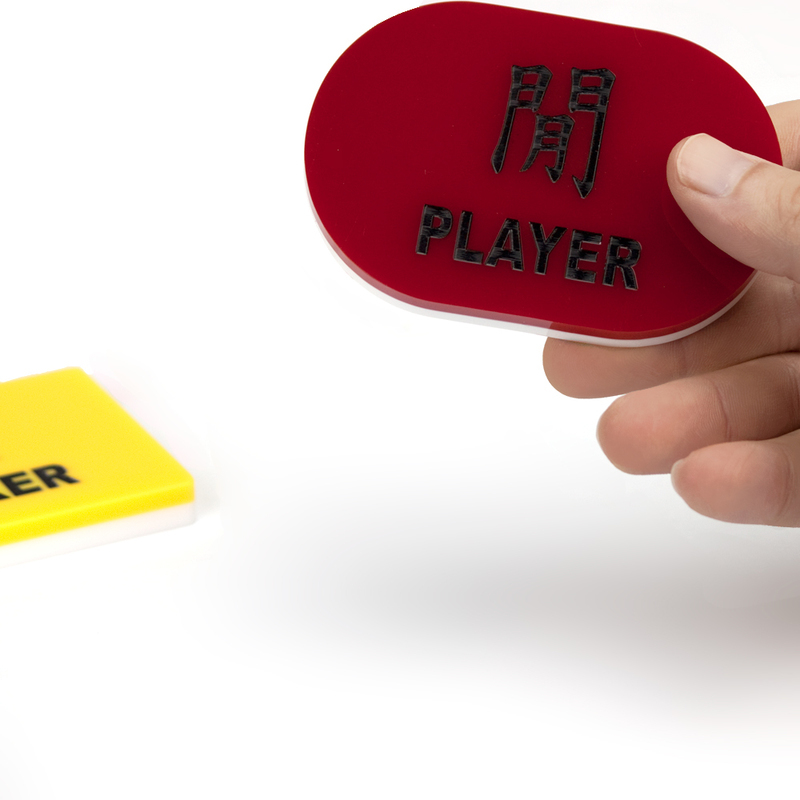 One side is red with black letters that spell 'Player.' The other side is white with red letters that spell 'Player wins'This plaque measures 3.5 inches long approximately 2.25 inches in diameter. * The banker plaque is rectangular. One side is yellow with the black letters that spell 'Banker.' The other side is white with red letters that spell 'Banker Wins.' This plaque measures 3.25 inches long and approximately 2.25 inches wide. * These plaques are great for club or home use. Ideal for traveling games, these items also make great gift ideas. 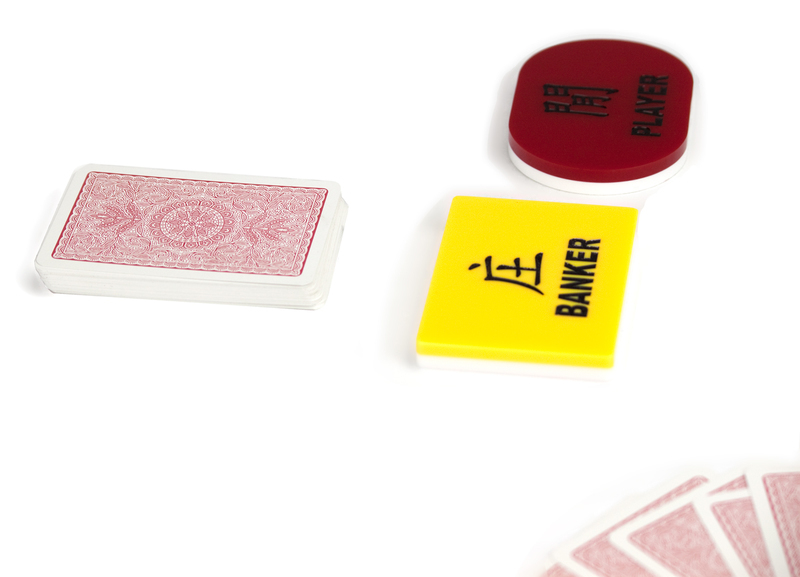 Give your game a touch of class with these player and banker Baccarat plaques! 3.5" x 2.5" x 0.75"